The Michigan Municipal League’s Board of Trustees had its regular meeting Nov. 12, 2010, at the League offices in Ann Arbor. 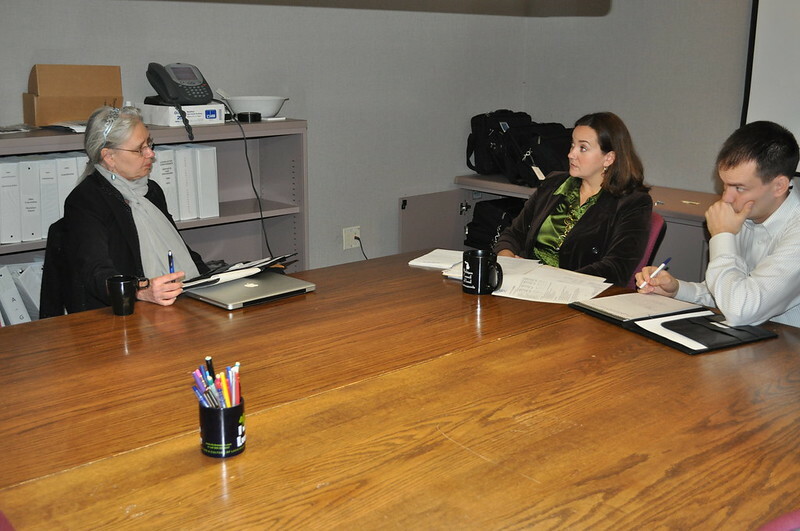 It was the first meeting of the newly appointed board officers – President Carol Shafto, Alpena mayor, and Vice President Karen Majewski, Hamtramck mayor. It also was the first meeting for newly elected board members Suzanne Pixley, Eastpointe ,mayor; Jacqueline K. Noonan, Utica mayor; William Filber, Spring Lake Village president; Charles Pugh, Detroit City Council president; Jeffery Lawson, village manager for Mackinaw City; and Amos O’Neal, Saginaw mayor pro tem. For more information about the MML Board go here: www.mml.org/about/mmlboard.htm. For information about the League and what we do go here: www.mml.org/. Also meeting at the same time was the Michigan Municipal League Foundation board of directors. For details on the Foundation go here: www.mmlfoundation.org/. For details on the Foundation board members go here: www.mmlfoundation.org/board. Members of both boards also toured the MML Ann Arbor headquarters and had orientation sessions from League staff. Image published by Michigan Municipal League (MML) on 2010-11-12 19:54:26 and used under Creative Commons license.